This entry was posted in Life and tagged Art, contentment, joy, life by nickispies. Bookmark the permalink. Beautiful post & beautiful sculpture. Thank you for sharing! Thank you for the feedback Trixie. Keep well. Dr. Spies: Do you happen to know which artist did this piece? Dear Chris unfortunately I don’t. 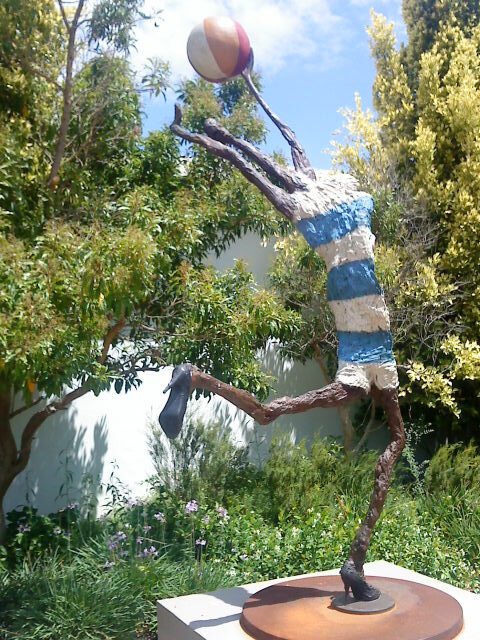 This piece is at the JC Le Roux Cellars in Stellenbosch, Western Cape. Maybe they will be able to tell you how the artist is.